Was this Performance Art Show Calling Out Hate Groups Too Real? The results of the election have churned up a tsunami of cultural backlash aimed at the incoming Trump administration’s rhetoric of hatred and intolerance (or, in at least one case, in support of it). There’s a lot of doom and gloom right now– hate crimes are on the rise as our new political era continues to take shape with increasingly horrifying cabinet appointments, from a conspiracy theory-touting Islamophobe as Secretary of Defense to a Department of Energy head who once called for the agency’s abolishment– even so, artists and cultural figures have banded together to express their dismay. Some, like the Instagram campaign and public protest #DearIvanka, have infused political action with artsy weirdness, while others have just continued making the art they always have, the only difference being that the injustices they’re concerned with– the patriarchy, white supremacy, xenophobia– have seen something of a comeback as some Americans are once again proud to wear their prejudices on their sleeves (or Twitter feeds). If you’ve been to Wild Torus events before, it’s likely you know all about their marathon performance-art benders and messy parties. Guests are necessarily a part of the events involving immense creation and destruction within the same night (or 48-hour marathon). My first Torus encounter was a mind-jostling, brain-crushing, chaotic mess. It was a crush of humanity, all soaked in sweat, and stuck with gloopy, sticky materials, under an onslaught of hypnotic drumming, loud-as-hell discordant synth drone, and anything and everything you can imagine. 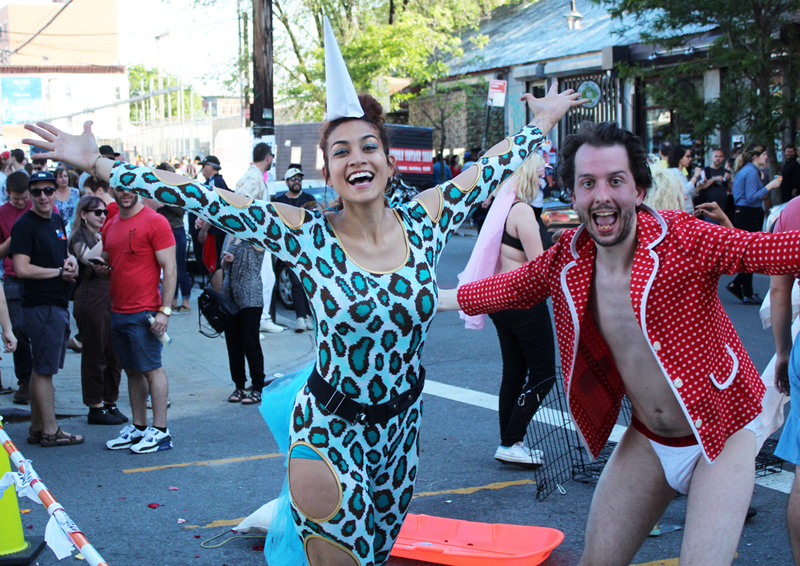 There’s been a bit of a stir surrounding this year’s Bushwick Open Studios. Firstly, they’ve been moved to this coming weekend instead of their usual summertime. There’s been a changing of hands in regards to who’s in charge, and supposedly a renewed focus on connecting with longtime locals rather than just hip, social-media-savvy (mostly white) artists and parties sponsored by Tumblr. The time has come to see how things have changed, and how they might’ve stayed the same. The jam-packed weekend can get overwhelming. Aside from all the artist studios that’ll be open (reason for the season), here are some highlights that might be worth your while.